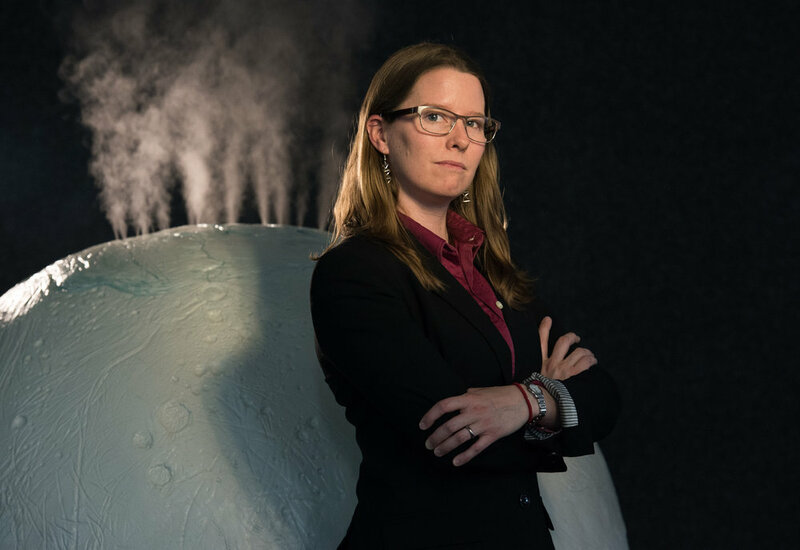 Dr. Morgan Cable returns to the show to chat about the end of the Cassini Mission. We find solace in the fact that there’s still a tiny bit of Cassini in orbit around Saturn. Dr. Cable also describes Cassini’s discovery of hydrogen, “the easiest food for a microbe to digest,” in Enceladus’ plumes. Top: Portrait by Dan Goods. Below: Dr. Cable on NASA TV!